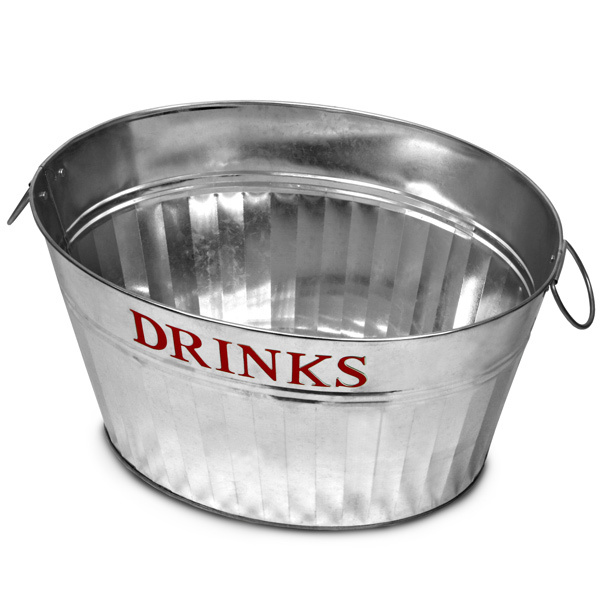 The Galvanised Steel Drinks Party Tub is the ultimate way to serve ice cold beverages. With a retro red 'DRINKS' logo, this stylish beer cooler stands out from the crowd. 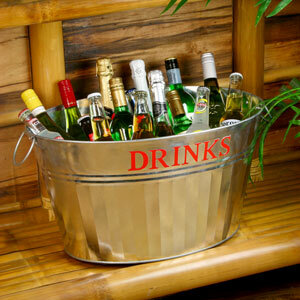 With generous space for soft drink cans or wine and beer bottles, this drinks pail creates a thirst quenching display. 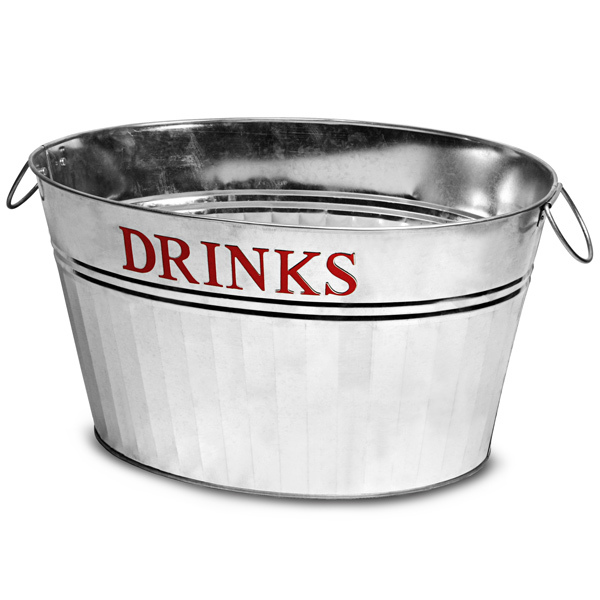 The perfect solution for effortless BBQs and indoor or outdoor parties, this drinks bucket is crucial for laid-back entertaining. 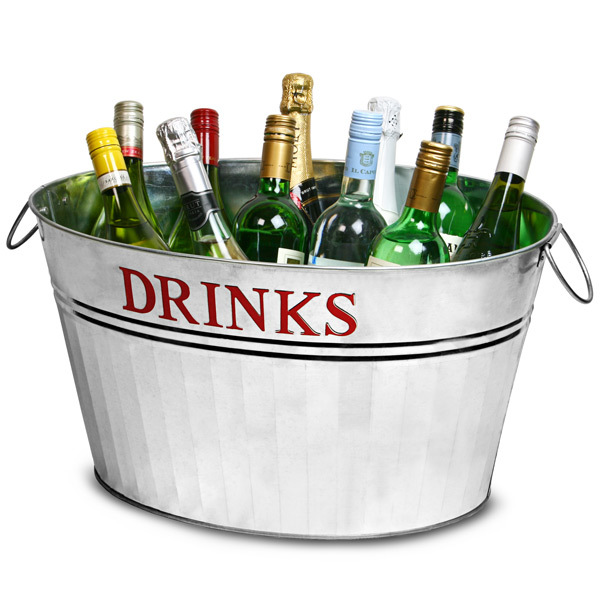 For an elegant garden party, fill with wine and champagne bottles; for an evening in watching the football, fill with beer; or for an easy children's party, fill with cans of fizzy drink. 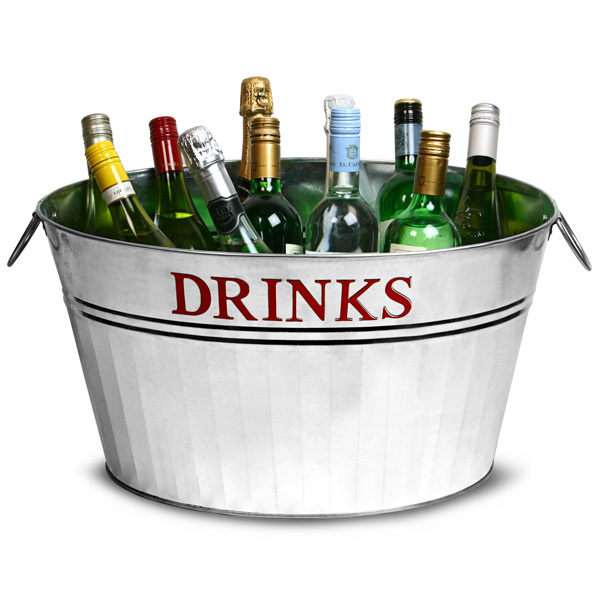 "These steel drink party tubs were delivered in good time, they are still yet to be used for one of our events at the end of the month. They seem sturdy enough and is exceptional value for what it is."